In addition to being the Metropolitan Opera Orchestra’s principal flutist, Iceland native Stefán Ragnar Höskuldsson has forged a distinguished simultaneous career as a soloist and chamber musician. In this, his debut solo CD, he offers a truly impressive and varied program of classic works for flute and piano by mainstream composers, plus a haunting novelty for unaccompanied flute. Michael McHale, one of Ireland’s leading all-around pianists, offers sensitive and expert collaboration in this beautifully recorded album. Franz Schubert’s masterly Introduction and Variations on 'Trockne Blumen', based on one of his loveliest art songs, is the composer’s only original work for flute and piano. Lowell Liebermann, one of America’s greatest living composers, is represented by his Sonata for Flute and Piano - a true tour de force, and a contemporary classic. Sergei Prokofiev’s WWII-era Sonata for Flute and Piano is a universally acknowledged masterpiece, and a staple of the chamber repertoire for flute. 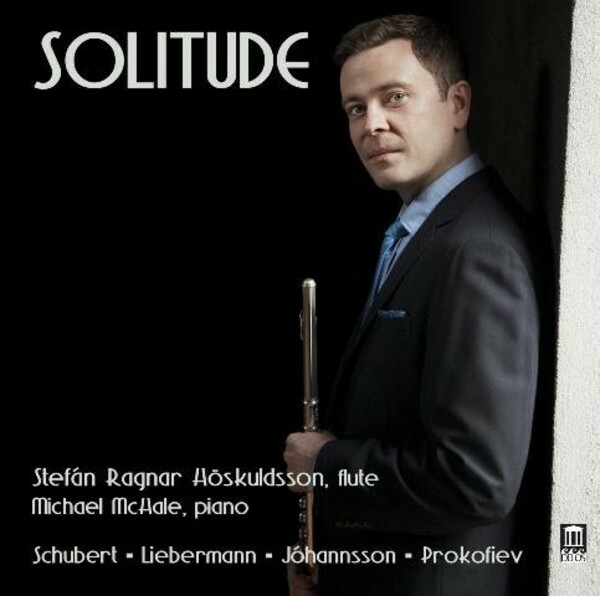 The album’s novelty (and title piece) is Solitude, for solo flute, by Icelandic composer Magnús Blöndal Jóhannsson: a serenely poignant evocation of loneliness.